Below you will find a list of discussions in the Galaxy Nexus Kernels forums at the Galaxy Nexus Forum - Samsung Galaxy Nexus Community. 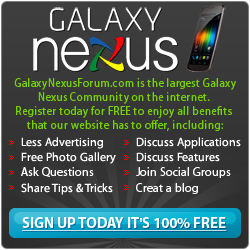 The Galaxy Nexus Kernels forum is for discussion of: Discussions and information for custom Galaxy Nexus Kernels. This area contains the various Galaxy Nexus Kernels..
High Battery Usage Kernels! Please help! Franco Kernel App no hotplug?!?! Anyone tried flashing the CM9 and AOKP linaro roms yet? What is your impression of the GlaDos kernel? How to install new kernel and best kernel for battery life? Is hotplug a governor or a governor feature?